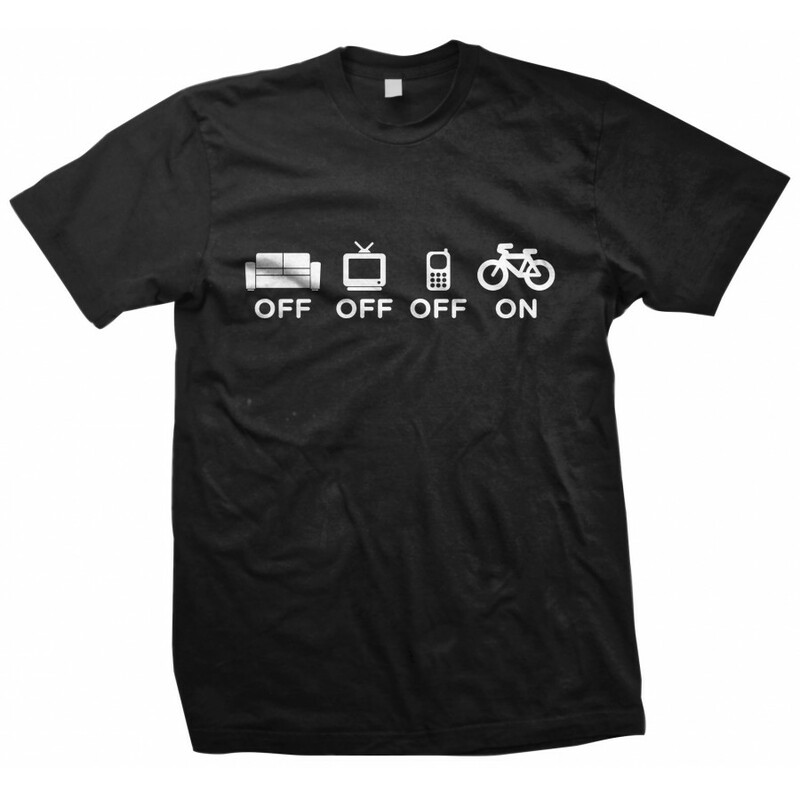 Off the couch, Turn the TV off and turn the phone off. It's time for a ride! 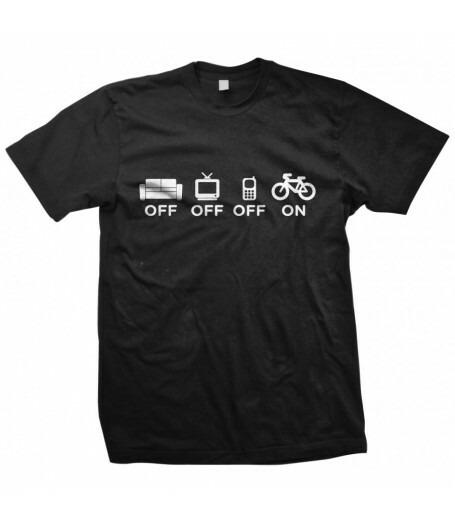 "OFF-OFF-OFF-ON" Black shirt with white graphic. Shirts are 100% soft cotton.